Possibly the last customer of the A380, All Nippon Airways (ANA) received on Wednesday its first unit of the world’s largest passenger aircraft at a ceremony held at Airbus headquarters in Toulouse, France. 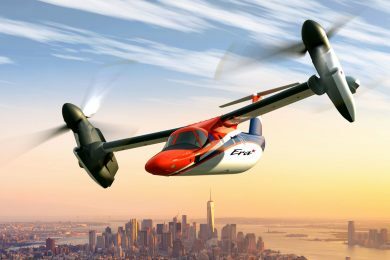 The Japanese company is the 15th operator of the model that will have its production will be closed in 2021. 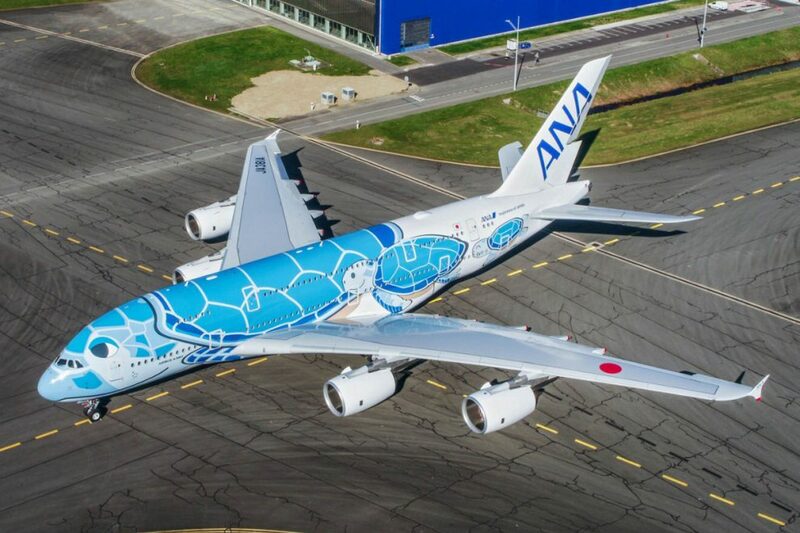 ANA ordered only three A380’s and each of them will feature a special livery representing the Hawaiian green sea turtle, also known as Honu. 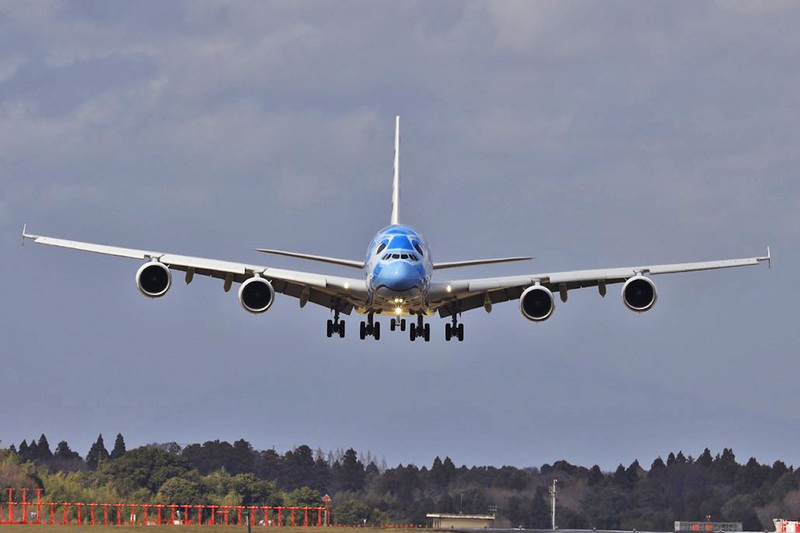 The first model will be painted blue, while the second will be green and the third orange. 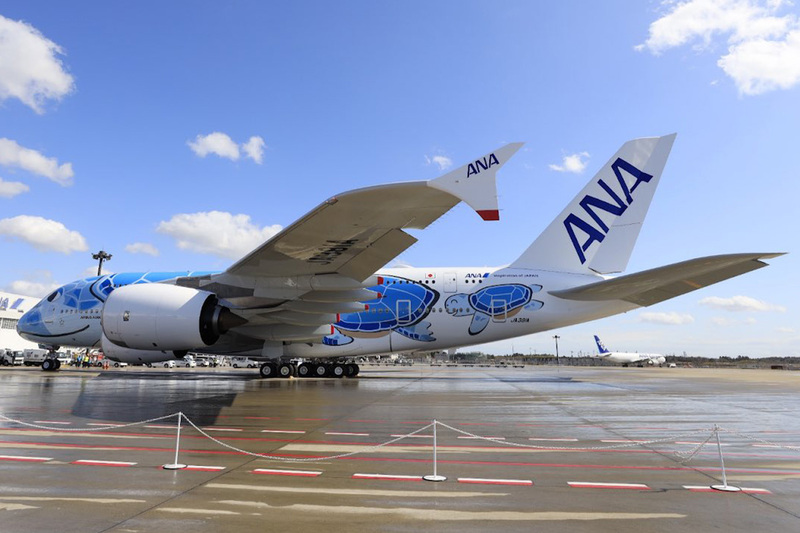 The animal represented on the fuselage is a reference to the destination where ANA’s A380s will be operated, Hawaii. 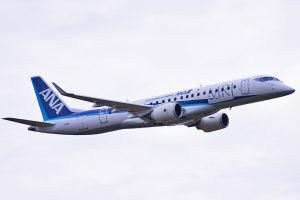 According to the company’s schedule, the four-engine airplane will debut on the route between Tokyo and Honolulu on May 24. The ANA A380 is configured to carry a total of 520 passengers. 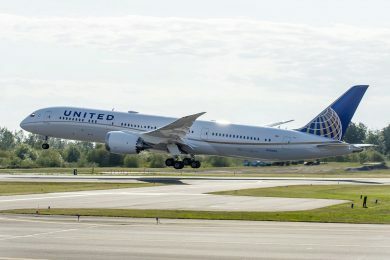 The upper floor will be occupied by eight first class cabins, 56 executive class seats and 73 premium economy class seats. Economy class occupies the lower deck, with a capacity for 383 passengers, including 60 sofa-style seats, special rows that can be reserved entirely. “We will commit all three of our Airbus A380 to the Tokyo-Honolulu route with the goal of introducing a new level of luxury service to our passengers flying ANA on the number one resort route for Japanese travelers,” said Shinya Katanozaka, President and CEO of ANA. 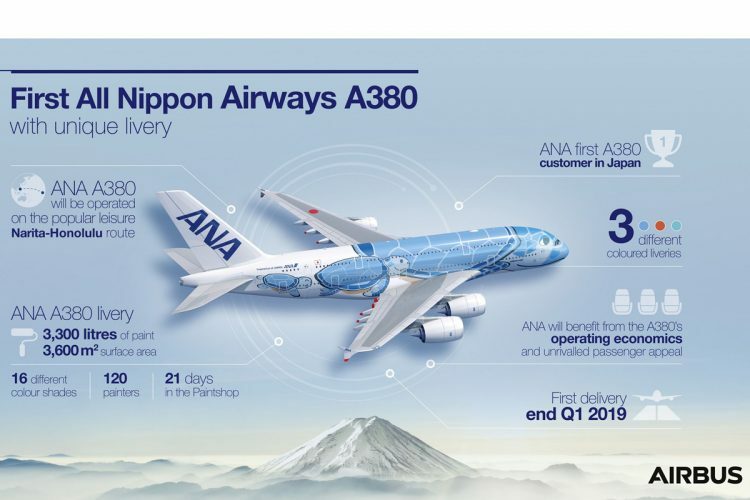 “We believe the A380 will become a game changer for ANA and will enable us to increase our market share by doubling the number of seats connecting Honolulu and Tokyo by 2020,” added the executive. 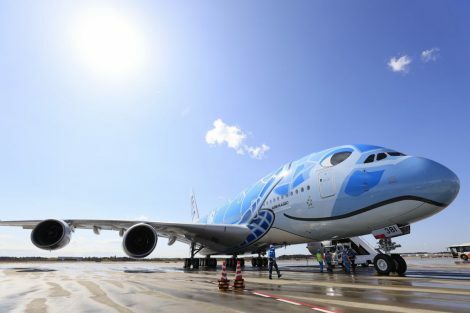 The delivery of the first A380 from ANA could be a joyful moment for Airbus, but the European manufacturer tries to digest the fact that the program of the largest passenger plane in the world was a huge failure. 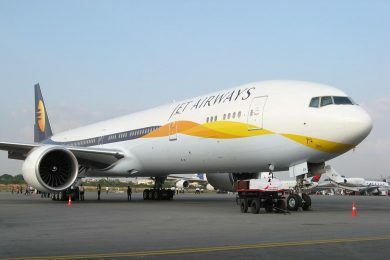 What was meant to be a common jet at the airports, expecting sales in the four digits barely reached 280 planes, much of them ordered by Emirates Airline, the only airline to operate it globally. 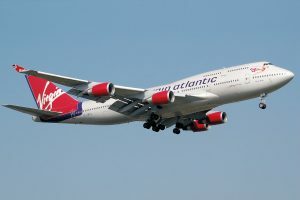 Expensive, restricted to a few airports and with a cost of operation well above other two-engine models, the A380 will be known as the last of the large four-engine jets launched in aviation. But this will still take some time to occur. 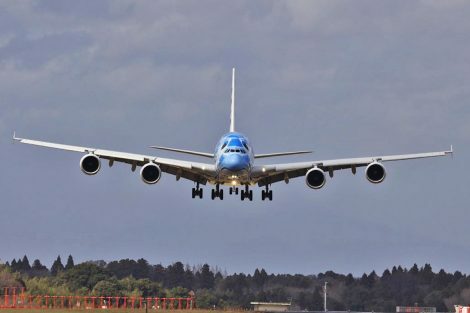 After this week’s delivery to ANA, there are currently 232 A380 units in service. 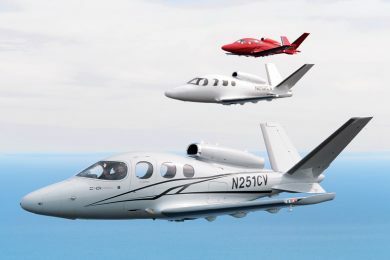 Airbus still has orders for 42 more aircraft units.